We can understand your concern. we request you to please drop an email to the support team so that they will review your account further. 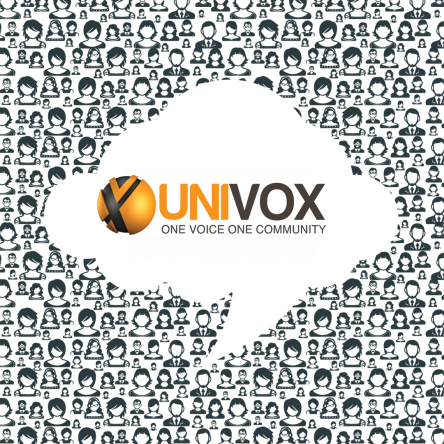 Anyone facing issue with Univox survey homepage not opening? It's for information on whatever topic it's next to will give you more information about it. Anyone got Thursday contest points? Thanks all for the participation, The correct answer is SWIMS! We can understand your concern. we request you to please drop an email to the support team so they will review further. You are most welcome. Happy survey taking!!! We regret the inconvenience caused to you, but we cannot do much it the case of disqualification because it totally depends on the survey requirements. However, it is our humble request to you, please update your profile information as soon as possible, it will increase your chances of qualifying for the surveys. Please be informed that we have already raised a query to the technical team for further investigation please allow us sometime, we really appreciate your patience. Please note that "profile surveys" page has two categories, one is "profile" and the other one is "sub-profile" which has further five categories as "Automobile, Food, Health, Shopping & Technology". Please go to the wall of fame page and hit the engagement icon (i) score tab where you can find the points history. Hi All, i have noticed some discrepancy in Engagement points..
We regret the inconvenience caused to you. Would like to share that we have reported this issue to the team and they are working on it, however Please complete and update all your profile information as soon as possible because when you fill out the profiles, you let us know more about you, which allows us to send you surveys and we can make better decisions on what surveys to send you as this will mean more surveys that you qualify for, and less time spent answering questions on surveys that really aren't a good match for you. We regret the inconvenience caused to you. Would like to share that we have reported this issue to the team and they are working on it. Hi Everyone, thanks for your responses. The correct answer is "Automobile, Food, Health, Shopping & Technology". People who have included "profile" in their answer will not get any points. Please note that "profile surveys" page has two categories, one is "profile" and the other one is "sub-profile" which has further five categories as "Automobile, Food, Health, Shopping & Technology". That time the system will automatically upgrade your level. We would like to share that upgradations are done on the basis of points, redemption and the time you have spent with Univox. For Ambassador we a pre-set criterion minimum 100 surveys complete.